Source: Lozano-Kühne, J. Berlin Photos 2014. Private Collection. Are you interested in visiting the Detlev-Rohwedder-Haus at Wilhelmstraße 97, 10111 Berlin on July 14, 2017 (Friday, 12:15 pm - 1:30 pm)? The protected building is currently the head office of the German Federal Ministry of Finance. It was designed by architect Ernst Sagebiel and built during the Nazi regime (between 1935 to 1936). 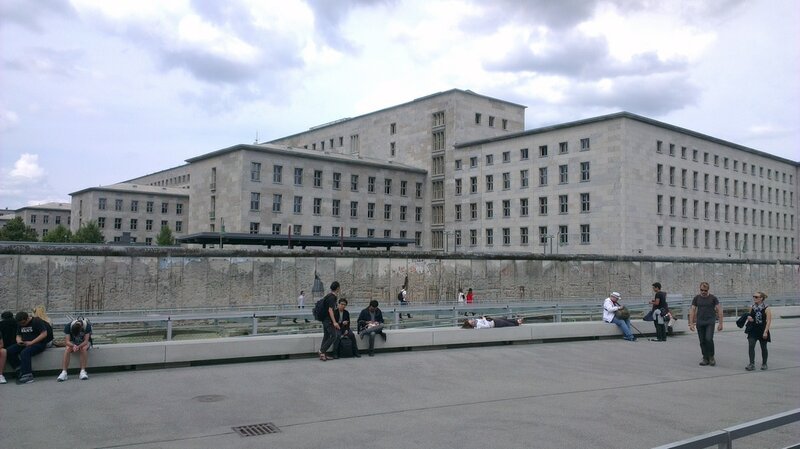 It was Herman Göring's seat of power and headquarters of the Reich Aviation Ministry (Reichsluftfahrtministerium, or RLM) until the end of the second World War. Click here for more information. The tour will include a visit of the interesting parts of the building compound and grounds which are not usually accessible to the general public. Slots are limited in this free tour. If you wish to join this tour, kindly fill-up the form below not later than July 1, 2017 or earlier. The confirmation of participation is on a first-come-first-served basis. We might close the registration prior to the deadline as soon as the maximum number of participants is reached. For security reasons, the Federal Ministry of Finance imposes strict security checks prior to entering the building. Please bring your passport or identity card (gültigen Lichtbildausweis). Only those pre-registered visitors with complete information and proper identification will be allowed to go inside the building. Cameras and mobile phones are allowed. However, please keep them in silent mode. Confirmed participants will meet at the meeting point (Treffpunkt) at 12:15 PM on July 14, 2017 at the corner of Wilhelmstraße and Niederkirchnerstraße, Berlin (opposite the Berlin Wall at the Niederkirchnerstraße). 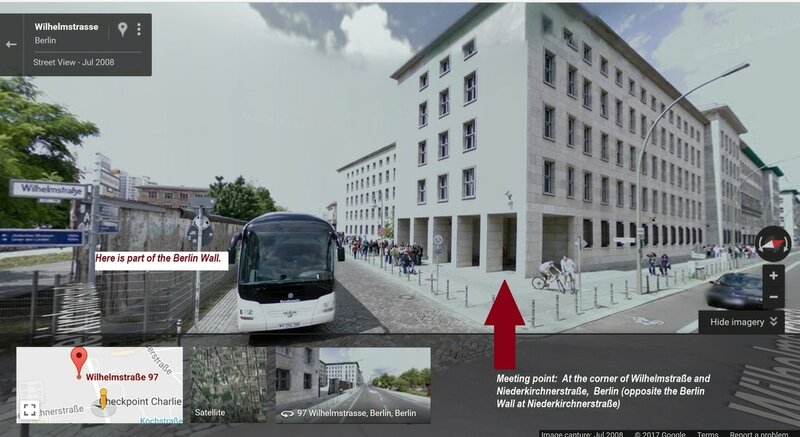 For directions to Wilhelmstraße, Berlin, please click here. A photo of the meeting point is pasted below for your reference. This will only be used to send confirmation about the tour. The information should be as it appears in your passport or identity card. Note: Photos and/or videos may be taken during the event for use in the UPAA Germany’s website, Facebook page, newsletter and/or other documentation. In case you do not wish your picture to be part of any documentation, we kindly request you not to take part in group photos during the event and please alert the photographer(s) that you do not wish to be photographed. Thank you. © 2017 UPAA Germany e.V. All rights reserved.